Too many people wait until they suffer debilitating physical pain before seeking out massage treatment. However, massage treatments afford you far more than a reduction in pain and an increased range of movement. Body: Most believe that a massage is simply, ‘laying hands on a body’, but it is far more than that. For the client seeking treatment, getting a massage is an experience. It all starts with the phone call. The therapist sets the tone by asking, ‘What do you wish to achieve through massage sessions?” Feeling that the therapist has your best interest at heart opens you to receive more healing. Giving yourself time to nurture your well being generates its own rewards, by primarily enhancing your self-worth. The massage room’s dim lighting and aromatic scents offers a true escape from the external world. Responsibility and stress are easily left at the door for an hour or longer. The calming music will transport you even further into a deeply healing mental space. Clearly, the therapist’s skilled, nurturing touch energetically conveys, these feeling to the client. Commonly, clients ‘follow’ the touch on the body with their awareness. They evaluate how the sensation feels. They connect to and dissociate from any pain. They become more aware of their physical nature and appreciate correct function. A natural breathing rhythm is found like the subconscious programming of sleep patterns. Not many activities are done where we lay still for an hour and maintain awareness. Sighing or deep breaths let out more than carbon dioxide. Stress, worry and anxiety all exit the physical body with ease. The mind is free from responsibly and clients surrender control to the therapist. This respite from normal function gives perspective and clarity. Solutions to problems present themselves and mountains become molehills. When clients re-dress, they feel a renewed sense of physical invigoration, deep relaxation and mental clarity. In the end, multiple factors come into play that affect the physical, mental, emotional and spiritual elements of your being. Thus, you need not wait for a bad back or tension headache to book a treatment. As a holistic therapist, I often hear clients say, ‘I won’t wait so long until the next massage’. So, how long has it been for you? Swedish. Swedish massage has become the traditional form of massage therapy in North America. Dr. Per Henrik Ling developed the method in the early 1800s by combining several different traditional practices, including those from China, Greece, and Rome. This type of massage targets muscles, glands, circulation, and nerves to relax and produce various health benefits. Aromatherapy. 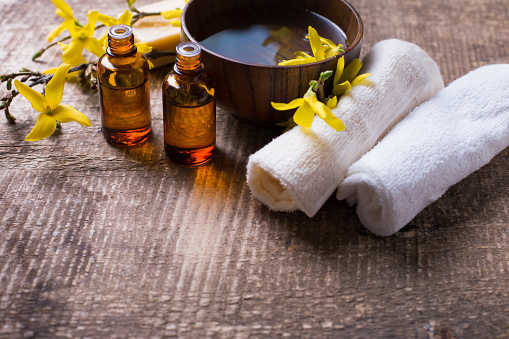 Aromatherapy massage employs specific scents from essential oils in order to enhance the massage session. I choose essential oils based upon the client’s needs so as to relieve stress or treat other conditions. Some oils are applied to the skin to further enhance healing. This type of massage is typically used in conjunction with other modalities, including Swedish, acupressure, and reflexology. Deep Tissue. Deep tissue massage is used for more significant issues; i.e., chronically tight muscles, strains, and injury. This massage modality is not just a deeper version of a Swedish massage; rather, it utilizes its own special techniques and strokes to generate the client’s goals from the session. I target the deeper levels of the muscles and the connective tissue to promote healing. Hot Stone. As its name suggests, hot stone massage incorporates the use of hot stones as a way to warm and loosen the tight muscles to facilitate the massage. 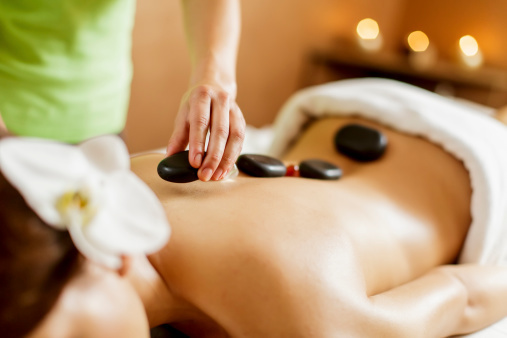 Hot stone massage has become increasingly popular. The stones may also be used during the massage to apply pressure to the tight body areas. Acupressure. Acupressure is an ancient form of massage therapy often used in Traditional Chinese medicine. It is often likened to acupuncture without the needles. Instead of using needles, the therapist uses deep finger pressure to stimulate the energy. Like acupuncture, it applies pressure to specific points in the body to remove any blockages in the body’s life energy that could be causing diseases and other problems. Shiatsu. Shiatsu is a form of acupressure massage whose name is literally finger pressure in Japanese. It is a traditional form of massage in Japan that employs rhythmic pressure at specific meridian points in the body for a few seconds to unblock the body’s energy. Thai. Thai massage does far more than just reduce stress or reduce tension in the body. It utilizes techniques that combine shiatsu, acupressure, and yoga for an interactive manipulation that can also improve flexibility. Pregnancy. Pregnancy massage is specifically tailored to a pregnant woman’s needs, which differ from the those of the general populace. It reduces the tensions and aches arising from the additional weight during pregnancy while also reducing any swelling and fatigue. Sports. Sports massage is a targeted form of massage for athletes, typically given before, during and after events. It helps relieve swelling, reduce tension, improve flexibility, prevent injuries, and reduce fatigue with the goal to improve the athlete’s performance. Reflexology. 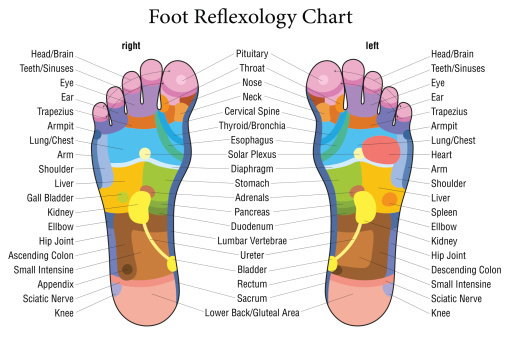 Reflexology, another massage based on acupressure concepts, focuses solely on the hands and feet. Facilitate health by releasing blocks using the corresponding points in the feet It’s based on the belief that the life’s energy and meridians correspond to points on the hands and feet. By massaging these areas, the therapist boosts energy flow around the body and reduces complaints.